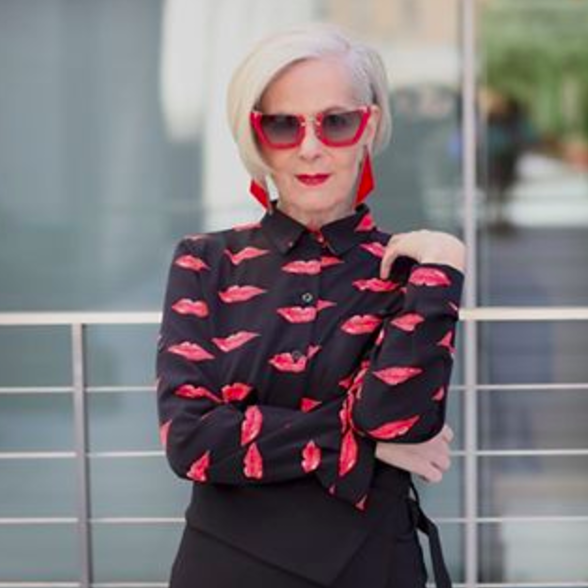 This is Lyn Slater, a 63-year-old Associate Professor of Social Work at Fordham University and a style blogger who absolutely slays every single edgy, elegant, inventive, or modish style she rocks. Recently, Lyn became a well known figure in the fashion industry, and her story is actually pretty friggen amazing. While on her way to meet a friend for lunch outside the Lincoln Center during New York Fashion Week a few years ago, Lyn was unexpectedly surrounded by a swarm of photographers and journalists who (understandably) mistook her for a fashion industry icon. Little did the chic academic know, she was about to become exactly that: an icon. Since her chance encounter, Lyn has started an online fashion blog, aptly titled Accidental Icon, and an Instagram account, both of which she uses as expressive outlets to balance out her work in academia. 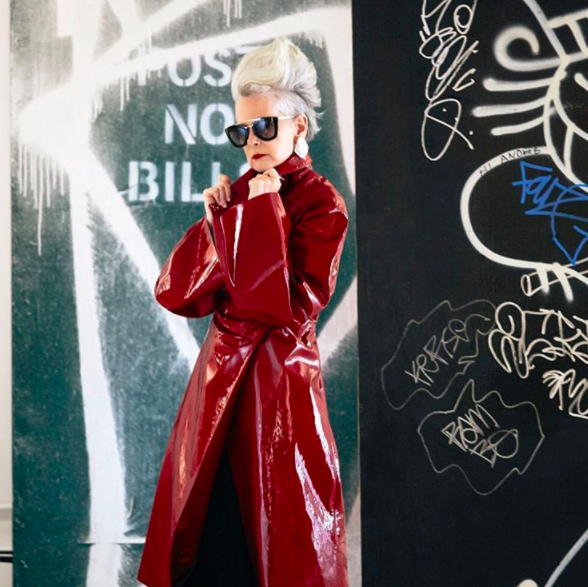 As a result of her rise to popularity, Lyn has become a living, breathing force against ageism in the fashion sphere. 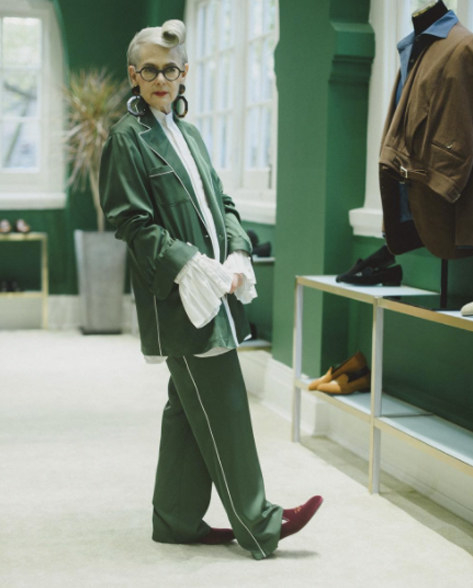 Indeed, her communicative outfits prove that style doesn't have an expiration date, and she has proudly said that fashion offers her "a solution to the invisibility that often accompanies aging." At 63-years-old, Lyn — who is signed to Elite Model Management — is anything but invisible. She has flat out said that she does not care about the "rules" of fashion. "I think, if you are comfortable in what you're wearing, no matter how old you are and you're owning it, you're going to look completely fine," she told Refinery29. If that's not confidence boosting, then I don't know what is. Keep pushing boundaries and slaying us, Lyn, because we're living for how you're rewriting the rules!